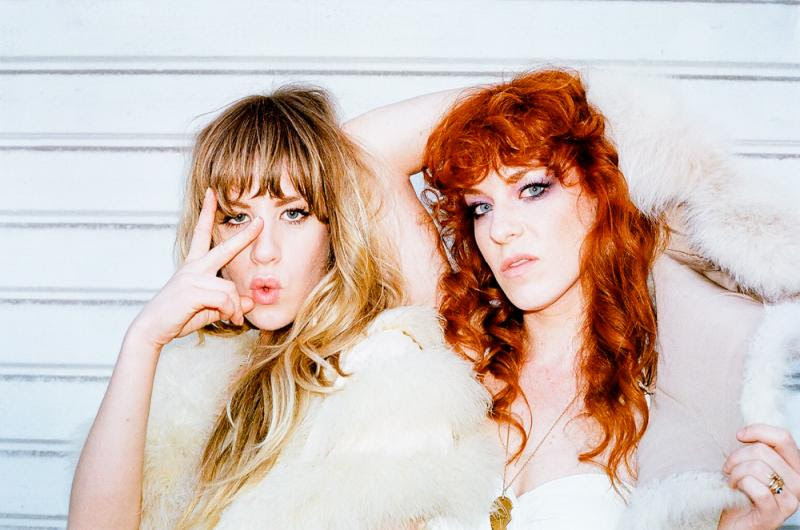 Deap Vally is back. After three years away, the lean and mean LA duo is set to release their second album, FEMEJISM, on September 16. On Friday afternoon at Culver City’s World Arts stage, Julie Edwards and Lindsey Troy unleashed three new tracks that were filmed for an upcoming episode that will round out the first season of Nic Harcourt’s Transmissions series. Most recent single “Royal Jelly” is an angular and choppy slow boil. Disparate elements, from a hypnotic and looping riff to its dual whistled outro, suggest patchwork quilt design. By the end of the song, amidst all the rock n roll madness, Edwards’ sneaky falsetto could have been (and was) mistaken for a second shrieking guitar. In advance of the arrival of FEMIJISM, Deap Vally’s short set served as a shot across the bow. Flush with defiant attitude, Deap Vally is barefoot and ready for reemergence.